Reduced complexity and time while developing and maintaining end-to-end integration flows. A significant portion, sometimes up to half of the integration flow would be simplified by using this Collibra Connect application. Handing large volume of records to upsert. The listener is designed specifically to be able to handle large volume of records. Support for the use of Generic Record Mapper. Self-signed certificate for HTTPS calls. 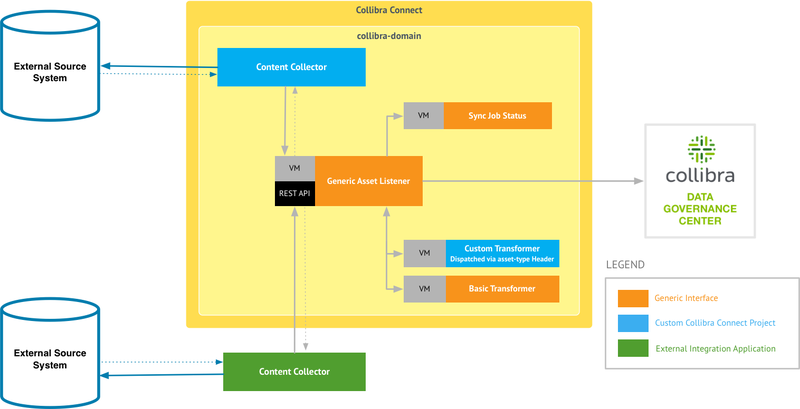 Support for any asset type connector upsert operation can process.